Most humans take their cues from pop culture: A-list stars wear, act, and listen to what they want, and the rest of us blindly follow suit. 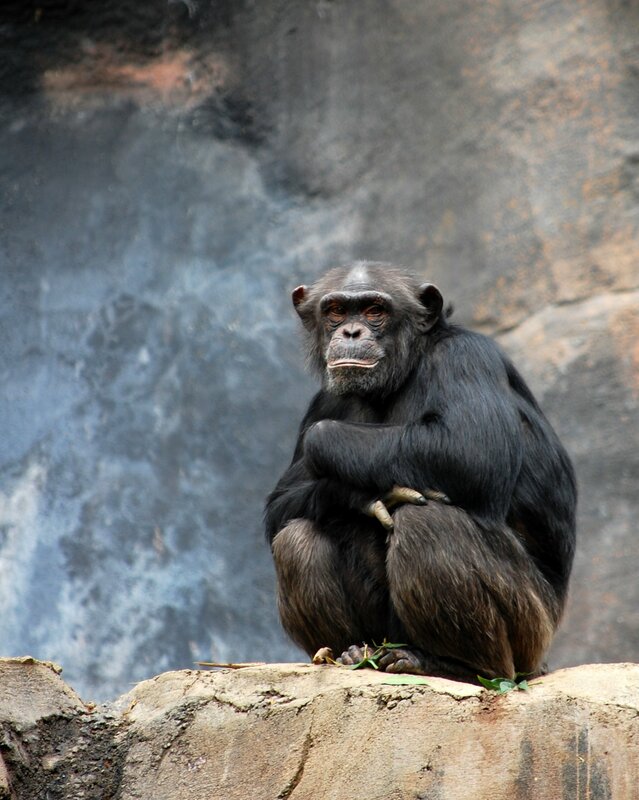 The same, however, can’t always be said for chimps: A new study on our hirsute relatives shows that it isn’t always society’s alphas that set trends — rather, the individuals at the bottom of the pecking order have a surprising amount of influence. This unexpected finding was recently described in the American Journal of Primatology by a team of University of St. Andrews researchers who observed the social dynamics of a group of captive chimps. In particular, they looked closely at what happened when individual chimps were taught a behavior that would be useful to everybody else. In the study, certain chimps were taught to open a box to get to the snacks inside it, and these individuals later demonstrated their new skill to their group. This is a method the researchers refer to as “seeding.” Whether or not the chimp’s peers learned from this demonstration and later used the seeded method seemed to depend on where the chimp stood in society. Alpha males: not as influential as we think. If, for example, the alpha male of the group hopped onto center stage and showed everyone how to open the box, only a few of his chimp underlings immediately copied his behavior when they had the chance to try his method. In contrast, when a chimp from society’s bottom rung — a low-ranking female — performed the demonstration, the method she demonstrated became the first choice for most of the chimps who watched. These observations were inconsistent with previous studies, which showed what seems like the obvious outcome: That monkeys most often take their cues from the leaders of the group. Primatologists call this tendency rank bias, and it’s the prevailing theory for explaining social learning among chimps. The new findings threw the researchers for a loop: It was obvious that there was something about the chimp demonstrator that determined whether its peers would follow suit. But what? 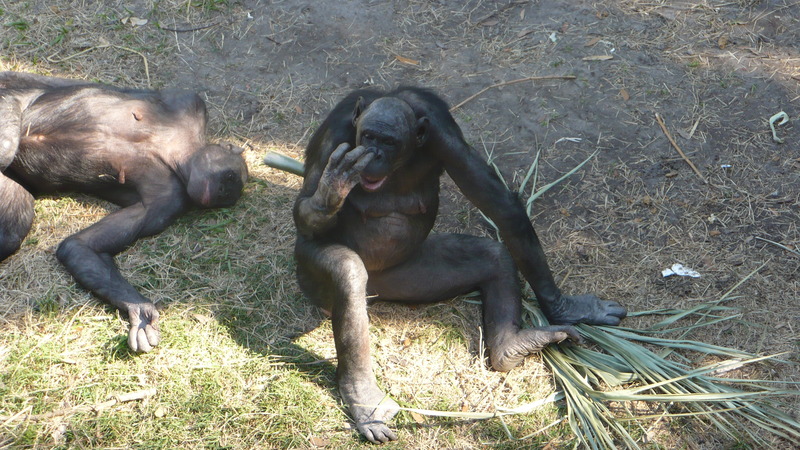 Low-status female chimps: unexpected trendsetters. Watson’s work focuses strictly on chimps, but it’s not hard to imagine these situations playing in human society. Celebrities and other “high-ranking” humans are, without a doubt, intimidating: If Beyoncé, for example, gave you a one-on-one masterclass in how to sing, would you really be paying attention, or would you be too overwhelmed with nerves? There’d be much less pressure around a nobody — a Destiny’s Child reject, perhaps — and the findings of the chimp study suggest that taking lessons from them might be a lot more effective than learning from Queen Bey herself. Of course, the findings don’t suggest that chimps always defer to society’s lower-ranking individuals. Rather, they show that rank bias theory doesn’t preclude “successful emergence of group-wide behavior patterns from subordinate models or innovators, when no competing model is present,” as the researchers write in their paper. In other words, alphas will lead through intimidation and force, but you can’t discount an outcast’s ability to make its peers comfortable enough to follow its lead. Media via Flickr / OctopusHat, Flickr / Rhea C.